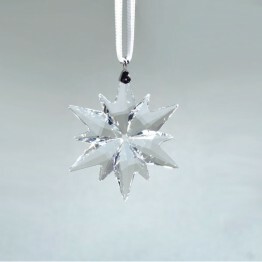 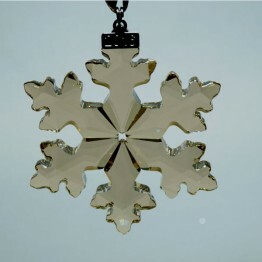 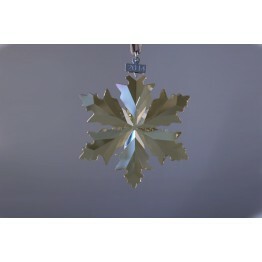 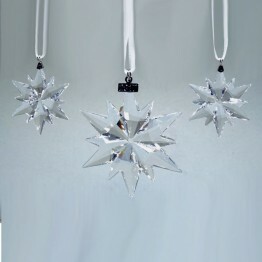 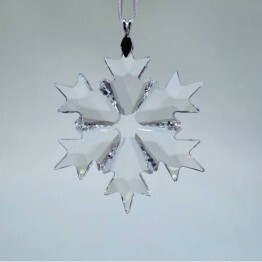 This was the 9st in the series of the limited Golden Shadow christmas ornaments/snowflakes issued annually. 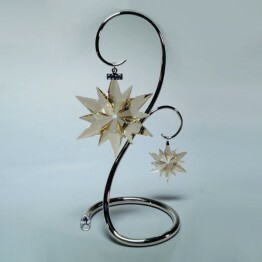 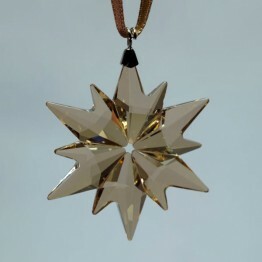 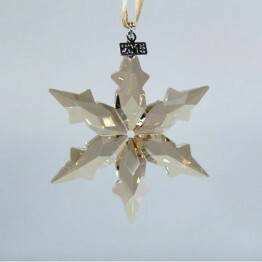 The christmas ornament is made of Golden Shadow crystal. 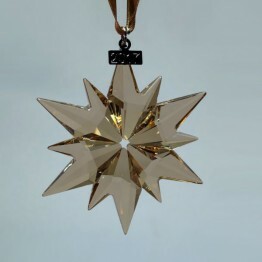 This ornament has 6 points, and each point has two points. 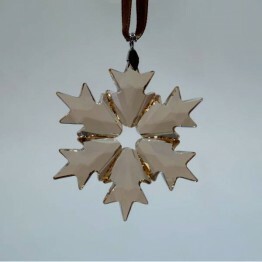 It hangs on a light-brown satin ribbon, with a silver-tone metal hanger showing the year of issue, 2017.